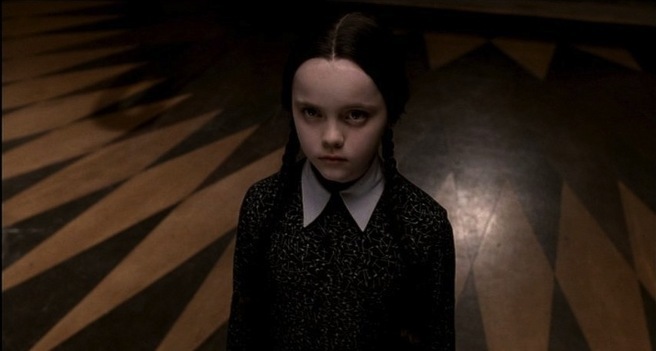 I’m a little bit fed up today. 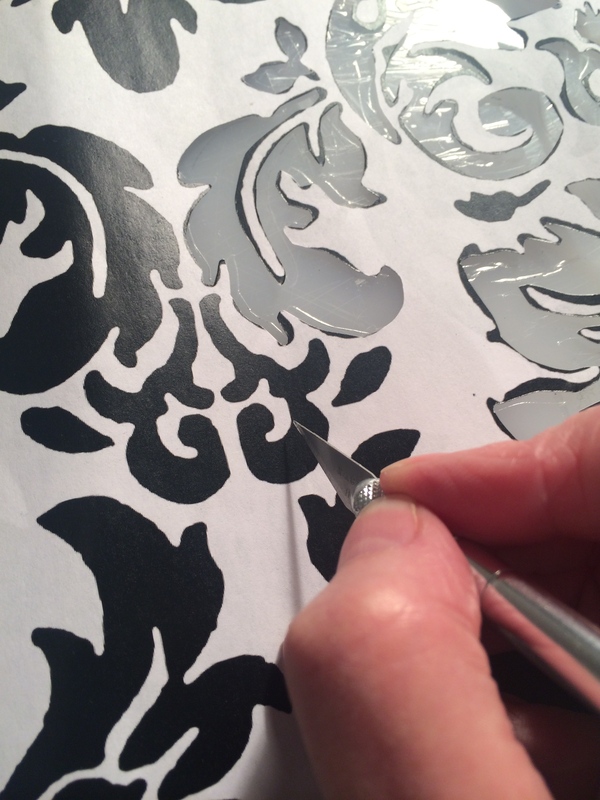 My first dripping damask experiments had gone so well – it literally took me about 90 minutes from conception to satisfaction. I had the idea, I decided on a technique, I gave it a go. It worked brilliantly. However I wanted to do the same thing again, but this time using a much thicker (dark navy) silk cloth. The first problem was how to get the pattern onto the fabric. I messed around with trying to replicate my previous technique ie place fabric over pattern, paint the black bits with hot wax. Unfortunately the fabric was not thin enough to do this. I don’t have a light box so I tried to use some of our existing lights and sticking the cloth to the window. Even doing quite dangerous things didn’t work. So then I thought about making a stencil – actually advised by a talented 14 year old (Gracie). Before I started cutting I wanted to make the stencil big enough so started by trying to match two stencil pictures together. But it just didn’t work – it was like an Esher drawing – I just kept going round and round. It wasn’t a true pattern, unfortunately. The only way I could make it bigger was to mirror the design. Using a craft knife and cutting against a piece of plastic I did a lot of cutting out. Completing the stencil to my satisfaction took around two and a half hours. Then I had to think about how I was going to get the design onto the dress. (I could have printed the fabric first, but I wanted the damask to work on the dress as a whole, with the drips coming down towards the hem, rather than seams dividing the image. So I made up the dress – leaving open the CB and shoulder seams so it could be laid flattish on my table. However by now I had a nearly finished a classy and expensive navy silk dress. I suddenly got a crisis of confidence. No way was I going to start sloshing first wax then bleach on my lovely dress. Would it work? Would I mess up? Would it look like I had had an accident with some Domestos? I felt very afraid. So Saturday afternoon I start doing some samples. I found that paper stencils and hot wax is not a good combo – the wax just seeps underneath. A stencil would work well with a silk screen and then I could print with the discharge paste. I also tried some simpler designs thinking maybe it is the dribbles I want rather than the damask. However whenever I pressed out the wax, and used a hot iron on the discharge paste, the effect was, well just pasty. The silk is too thick, the paste doesn’t really penetrate the fibres and it just gives a wishy-washy effect. Something like chalk stains – it just looked really rubbish. On the downside my final SWAP piece is not going anywhere at the moment. contrasting sleeves (maybe dino-lace sleeves). Off to do some more experiments. How frustrating! The navy dress would work with a lighter coloured scarf, jacket, cardigan with it. Or how about making a complete lace dress to go over the top so you just see the navy as a base colour. Shame to totally cover the beautiful silk though. Best of luck! All great suggestions Lyn – thank you. I especially like the idea of a light lace over a darker base. I am also thinking of embellishing the bodice with silver and white beads – its sort of turning into an evening/cocktail dress. Will think about it today and execute next week! Or Gracie’s other suggestion was adding silver leaf to the fabric. Kate, First of all, thank you for showing your process for creating such wonderful designs! Your blog provides such great inspiration for me. The navy dress will provide a great base no matter what you decide to do. All of the suggestions are good and I do like the ideas of beads or silver leaf. My first thought when Lyn suggested a lace overdress was a fancy smock similar to the styles popular in the 70’s and adding lace, beads, embroidery, etc. to the smock. You could end up with several variations. 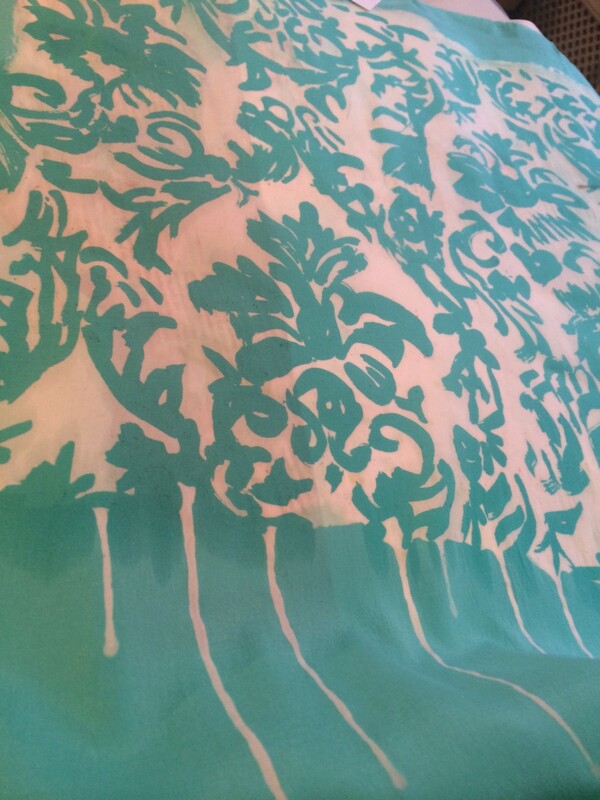 Maybe even a scarf from the silk with the damask dripping print. Whilst learning the limitations of a technique is certainly useful, this sounds very frustrating. I was reminded of Alabama Chanin techniques looking at your stencil. Would the beading you mention in the earlier comment, or perhaps embroidery, work in a damask type pattern over a washable marker applied via the stencil – just on the edges of each piece rather than having the damask elements as solids? It would be hard to make the drips look as natural as on the turquoise piece though gradually wider spacing of the beads might give a similar transitional effect. Dino lace……dino lace……must have some dino lace….. I love that dino lace, but agree it might not ‘star’ if placed on the navy. I like Kbenco’s idea above. For time efficiency perhaps you could just do running stitch around the stencilled areas? Now I recall you had experimented with free motion embroidery. Could you approximate a drippy design around the neck with that or would it place a perfectly good dress in peril? 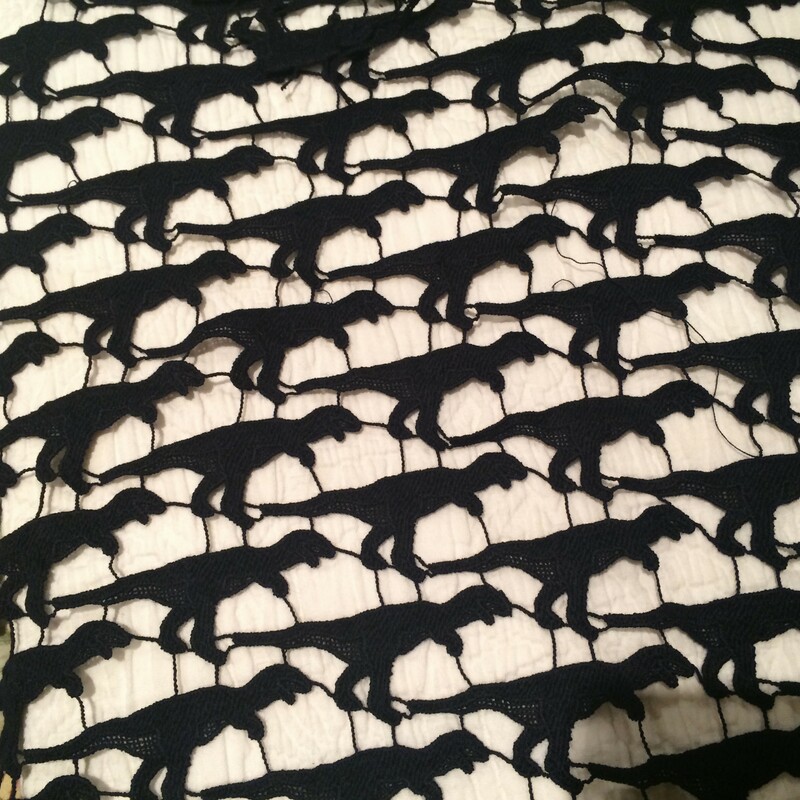 Every time I see the dino lace I am so consumed with….something? Lace lust? that I lose all focus on the other concerns in the post. Other people have very good suggestions. I like kbenco’s idea or Lesley’s idea about something drippy around the neck. My first thought was some kind of applique (not necessarily beads), though the damask pattern would probably be tricky to do, so something else. It would not be as elegant as the effect you had intended, but I even wonder about a colourful applique of your beautiful silk flowers (or similar) PS I’m impressed that you have mostly sewed a silk dress already! Ah, the creative process, never linear is it?! Road blocks are good, frustrating but good. I’m quite sure you will push ahead and not end up with a plain navy dress, oh the journey you’ll take us on! I had immediately thought of Alabama Chanin too, maybe there is some inspiration there for you? Thank so much for the encouragement Cathe, Maggie and everyone else. I do find that being thwarted can drive on my creativity. I took a workshop using discharge techniques on various quilting cottons, and the teacher mentioned that on some darker fabrics, you never get the results you expect. It’s almost as if somehow the base fabrics before the manufacturer dyed them are not consistent- so even different bolts of what we thought were the same fabrics were discharging to totally different colors. At the time these were cool to play with, as little quarter or half yard squares of fabric, but the frustration factor would surely go up as the cost of the original fabrics and the amount of work you have put into it go up. I’m sorry I have no ideas for your blue dress, but I think if you let it simmer a bit the idea will come to you. Thank goodness you were too afraid to get to work on the navy dress, though, and simply messed up some sample pieces. You’ve got lots of great ideas, some of which I don’t understand, for how to deal with a plain navy dress. Here’s one more. I don’t much like lace myself, and though your dino lace is cool, black on blue is still a dark combination. I’m reading a few books on fabric right now, and so am wondering if you’ve thought about a transparent chiffon type of overgarment in a light colour. How frustrating, you need a break and some thinking time. I like the idea of a lace overlay, lace dresses are very current at the moment, or you could just make a new yoke in a contrasting colour and either cut away the silk behind or leave as is. On another note it was a surreal moment to see you had sewn aprons as I have been immersed in an apron making frenzy myself, what a coincidence. Good luck with your silk, thank heaven it wasn’t ruined. Just a thought- if the paste was too paste-y and didn’t drip enough, could you experiment with gel bleach? I was just thinking that it’s thick enough to stay put when painted on, but could then be diluted more and more as you moved down the design. Final drip would come from a very runny solution painted on then the whole caboodle hung up to drip. One reason I enjoy embellishment of various types is not because I like fussy outfits – I actually prefer a classic look, but I do want a bit of individuality. The paste can be diluted so this is a good idea. I wouldn’t use ordinary bleach for fear it might dissolve the fibres and create holes but that’s an experiment for another day. I for one am really enjoying your posts on experimenting with fabrics and find them very inspiring, even the ones that end in frustration – it is after all an intrinsic part of creativity!